Contest # 173 answer: Tromelin Island, Indian Ocean – Where On Google Earth? 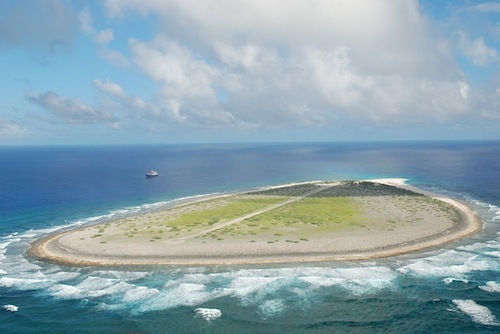 Yes it was hard his week, this is Tromelin Island, located at -15.8919, 54.5232 (some 450 km East of Madagascar). Kudos to all who found this. It was first recorded in 1722 as Île des Sables (Island of Sand), which describes his Island best: it is nothing more than a sandbank with some coral around it. But the reason I put this contest up, is that there is a fascinating story about this Island. In 1761 a French ship was wrecked in this Island and the crew of this ship managed to escape in a self built raft to Madagascar, leaving the 60 slaves they carried alone on the island. Some 15 years later a French warship rescued the 8 surviving slaves (7 woman and a child). Somehow they managed to stay alive during 15 years on this sandbank. 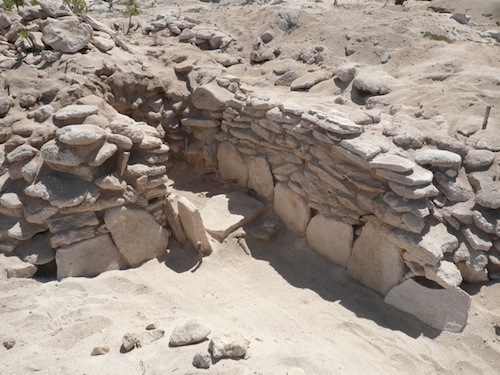 How they did that is still a mystery and last year another archeological mission was commissioned to carry out scientific research on this matter.